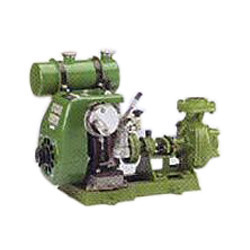 Being a quality-centric organization of this industry, we are engaged in providing a wide array of Diesel Engine Pump. Founded in the year 1997 at Agra (Uttar Pradesh, India), we “Kaleshawari Power Product Pvt. Ltd.” are an ISO 9001:2008 certified company engaged in manufacture, trader and wholesaler an exclusive range of Escorts Generator, Sprayer Machines, Construction Equipments etc. Our company is Private Limited based company. Under the direction of “Charu Gupta(Deputy General Manager)” we are successfully ranked among the reputed organization in the industry.